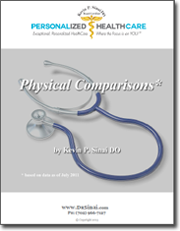 Compare the price of our annual Personalized Care plan–which includes not just your annual physical examination and diagnostics, but an entire year of medical care–with other facilities that provide physical examinations and reports. 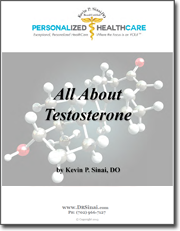 Testosterone supplementation, when used appropriately in the right candidates, can be a powerful weapon in the battle against aging. It can help you look, feel, and function better now – and may even help protect you against heart disease and Alzheimer’s disease. This is particularly true for men, but there’s growing evidence that just the right amount can benefit some women, too. Is Having a Regular ‘Myers’ Cocktail’ the Secret to Good Health? Sorry to disappoint you but in this case cocktail does not refer to an alcoholic drink. What it does refer to is intravenous vitamin-and-mineral formula that has been used to treat a wide range of clinical conditions. 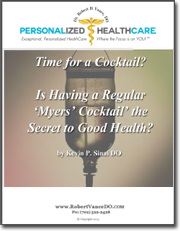 So could the Myers’ Cocktail help you overcome chronic conditions like asthma and fibromyalgia and help feel better than you have in years? 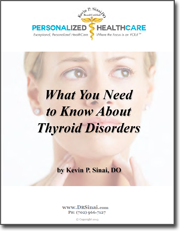 If so, you may have a thyroid disorder … even if you’ve had your symptoms dismissed and been told that you don’t have it! As nations throughout the world become more developed, diabetes is becoming more and more common. 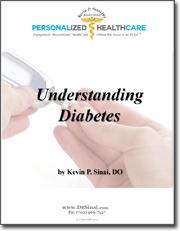 According to estimates, nearly one-tenth of the US population will have diabetes within the next 20 years. You guessed it – cardiovascular disease and the complications that it can cause. 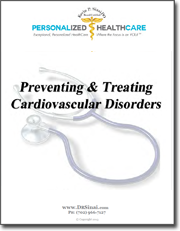 In this report, I’ll tell you some things that you can start doing on your own to lessen your risk of developing cardiovascular disease but first let’s take a closer look at the cardiovascular system and why so often things can go wrong there.